Tensid is a proud distributor of PROSOCO products. 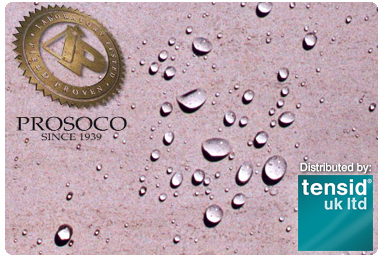 PROSOCO penetrating water repellents provide colourless, long lasting protection against the effects of water, including wet/dry, freeze/thaw cycles which can cause structural and aesthetic damage. Surfaces treated with water, oil and stain repellents resist staining from food, oil and water whilst retaining their natural colour, texture and breathability. PROSOCO STMP is water based and is effective on both external and internal applications.